A fixed-term lease sets an end date. But tenants don’t always follow the letter of the law. 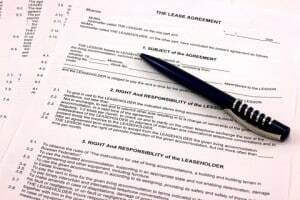 Enforcing the lease is going to take time, and some tenants will take advantage of the situation. 2. Depending on your rental laws, the lease may convert to a month-to-month, and you now will be required to give notice in order to get the tenant out. In addition, you lose out on the opportunity to raise the rent for that month. Even if you have a carefully-drafted lease with a stated term and move-out date, don’t leave the end to chance. Talk with your tenants well in advance of the move out. If you will not be renewing the lease, provide notice or a simple reminder of that move-out date, and let them know that you are expecting to take possession promptly. Schedule a final walk-thru at the same time. Otherwise, your tenants are in control of your destiny, and may take their sweet time giving you back your property.